From time to time I like to post a roundup of some of the products and things I'm really into and why. Now that it's Spring and the weather is nice it's really got me motivated to embrace it. Before it was like a tease with warm weather in March one week and then snow the next! So check out some of the stuff I'm lovin'! 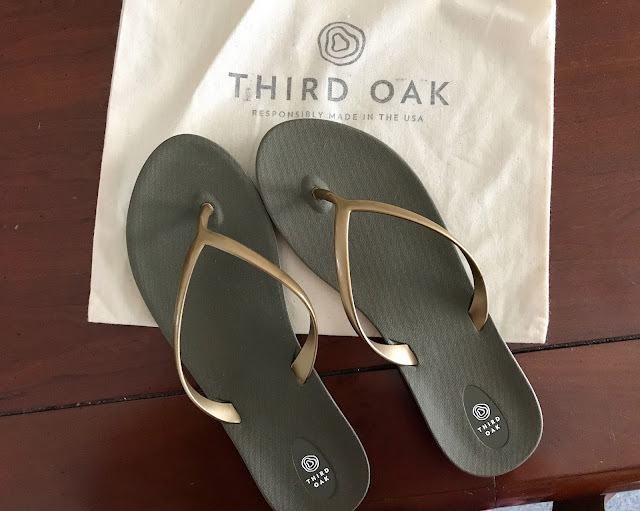 Third Oak is a relatively new brand of footwear responsibly made in America. Their styles are meant to empower you but also embrace a more eco-conscious way of life. They are made from a vegan bio-based material that comes from soy! 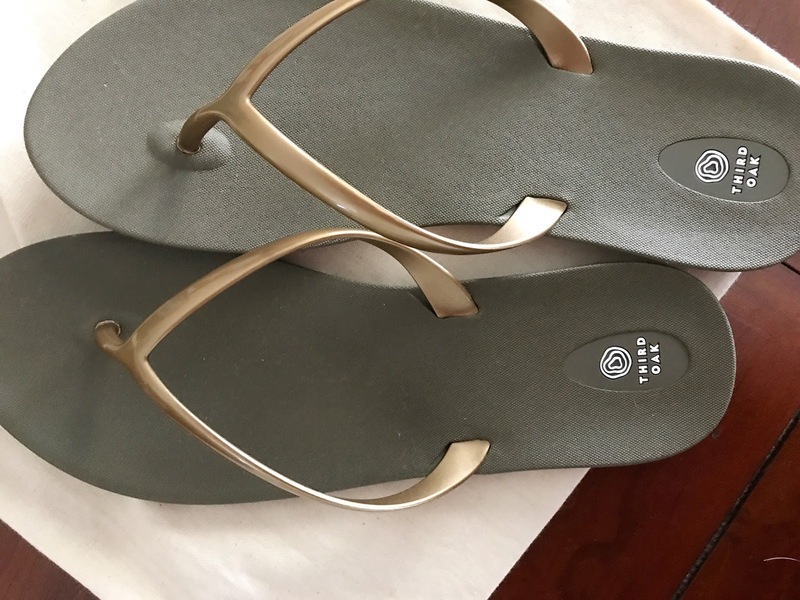 And using a recyclable material like this allows the brand to operate a closed-loop recycling process that will leave this great planet safe for future generations! 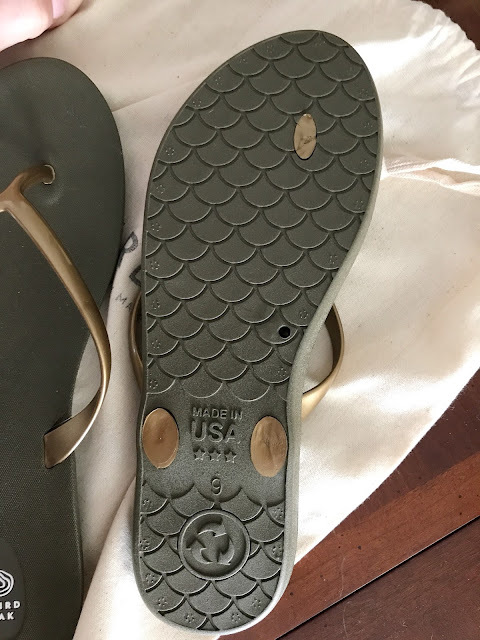 The sad truth is that less than 1% of shoes are manufactured in the Unites States and even les than that are made responsibly. 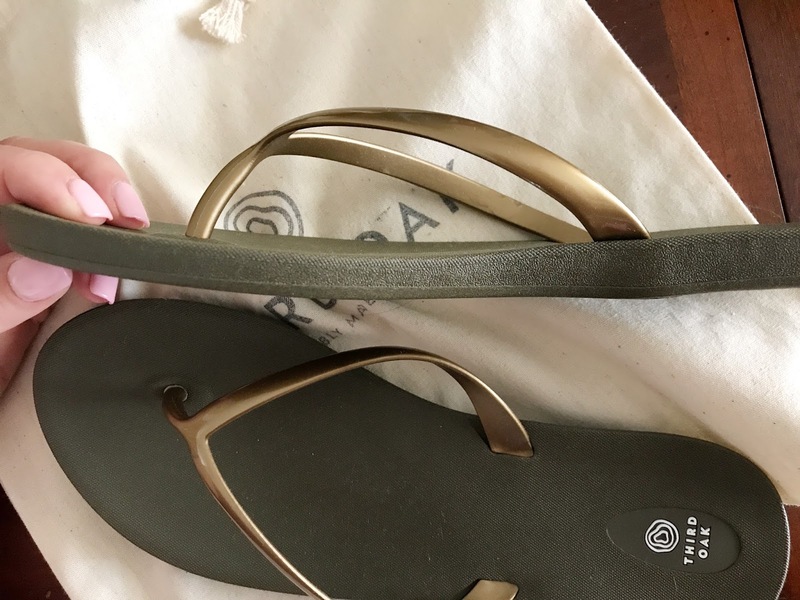 But if you need even more of a reason to stock up on sandals from this brand, look no further. They are super stylish and come in awesome neutral colors and metallic too! I have Scout Moss Gold and I wear them with EVERYTHING. They have a really good tread on the bottom and are shaped just enough that they support my arches and are very comfortable for all-day wear. I love that they are super stylish but very practical. And at $30 a pair, they are very affordable for a long-lasting investment. So if you know me in my real life, you've likely heard me talking about fascia and how instead of traditional massages, I opt for fascia release sessions. Well I'm in Heaven now because I discovered T-Tapp. It's a fascia exercise program that involves specific movements designed to activate muscles and it helps lengthen and strengthen muscle and bones. It's also beneficial with lowering blood sugar, balancing hormones, cinching in the core, reducing inflammation, detoxing, and losing 1 to 2 sizes in a single month with just 15 minutes of workouts 3-4 times a week. The best part is that there's NO equipment necessary and you can do it in the comfort of your own home with a DVD or online instructions. I got the Posture Power DVD and the online Digital More Than A Workout Seminar and the Brush instructions (for a skin brush). The More Than A Workout Seminar DVD was awesome and very helpful at explaining how and why Teresa's T-Tapp Method of muscle and fascia activation is so effective. It's just one set of repetitions!!! Teresa teaches exercises which were easy to follow and very easy to do but I could tell they were still effective. She also showed me how to increase muscle activation throughout the day no matter what I'm doing, whether I'm working on my computer or waiting in line at the grocery store. It was a very motivational DVD! The Posture Power Walk DVD was so helpful. It gives you 2 indoor walking workouts and helps you create a T-Tapp Method anytime you walk so you can work towards your inch and weight loss wherever and whenever. It explains how full fiber activation of different muscles can help maximize their development and how it can actually sculpt your body. I mean I walk enough as it is so there's no excuse for me to not adapt this method to my everyday life! The CRT Skin Tightening Body Brush is awesome! It's a stiff all natural body brush made from plant fibers that allow the stimulation of skin to help with exfoliation, detoxification, and improving circulation. Think of it as a way of exercising your skin. You can use it wet or dry. It really helps tighten and tone skin. It feels super good to use so it was so easy to incorporate into my weekly routine. So did it work? Well, I think so because I definitely don't fill out my clothing as much which means I must have lost an inch or two. I noticed my belly feels a lot flatter and I've definitely toned up. Also another thing I'm loving is how the weather is finally getting nicer! I'm venturing out into the screened in porch more and the pups are really enjoying laying around. 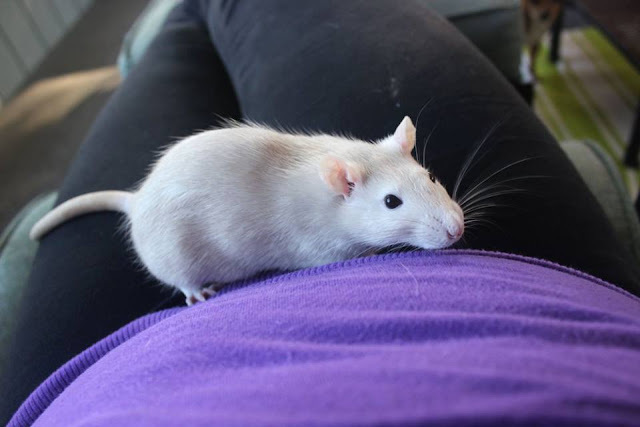 And of course my rat Charlotte loves sitting in my lap on the porch. If you have a critter like this, just know that they do enjoy the outdoor air as long as they are safe and secure. Don't let them roam around and risk having them run off or eat something that could be poisonous. Having treats nearby can help. I just keep a little bag of Kaytee Pop-A-Rounds from Chewy handy. This way Charlotte doesn't feel the need to eat random things and try to run off. 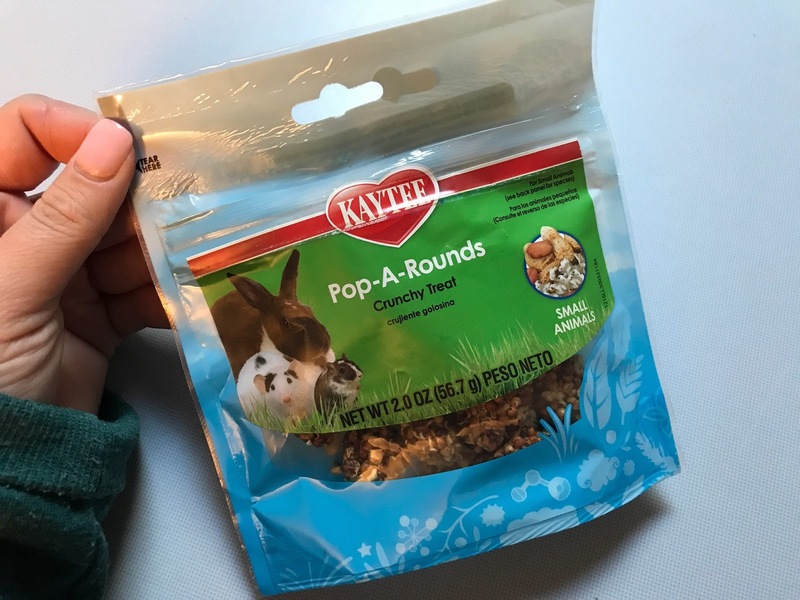 Kaytee Pop-A-Rounds are made of all natural ingredients and have nutritious ingredients like peanuts and are sweetened with honey. Treats like this are a great way to fight off boredom whether they're in their cage or hanging out with you. Plus these snacks come in a resealable bag and have no artificial flavors, colors, or preservatives.